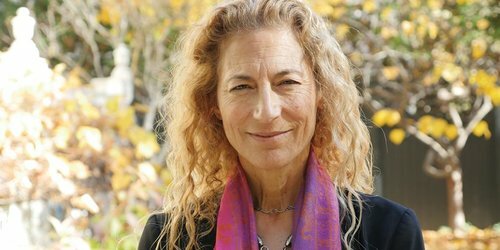 Alexia Salvatierra is a Lutheran pastor who has worked on issues of social justice and immigration policy for over 30 years. She leads the Welcoming Congregations/Guardian Angels Network for the Southwest California Synod of the Evangelical Lutheran Church in America. From 2000 to 2011 she worked for the California office of Clergy and Laity United for Economic Justice. CLUE was part of the New Sanctuary Movement, in which congregations around the country accompanied immigrant workers and their families facing deportation. 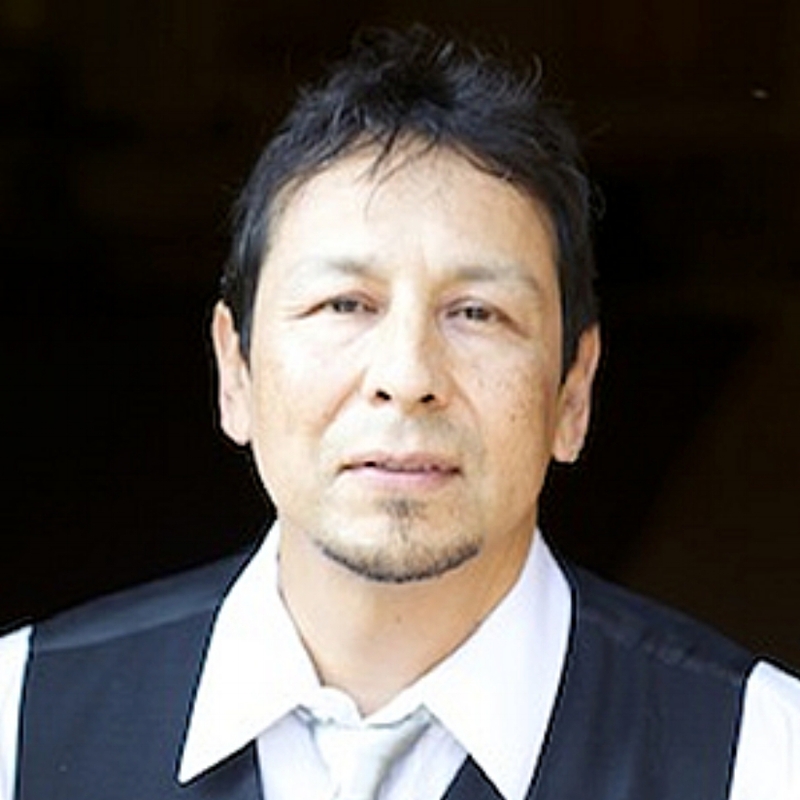 Robert is an Associate Professor of Chicana/o Studies and Asian American Studies at UCLA. Robert authored two books: the award-winning “The Chinese in Mexico, 1882-1940” and his Christian book entitled “Jesus for Revolutionaries.” As an ordained pastor, Robert co-directs the ministry of Jesus for Revolutionaries, a community of Christian activists who connect on various campuses, online, and gather monthly in LA, with his wife Erica Shepler Romero. Robert is also an attorney who occasionally takes cases related to immigration. He received his Ph.D. in Latin American history from UCLA and J.D. from UC Berkeley. Erica Shepler Romero is the co-founder of Christian Students of Conscience and Jesus for Revolutionaries Church with her husband, Robert Chao Romero. After graduating from Purdue University, she began full-time urban ministry with Campus Crusade for Christ where she was on the founding team of the S.A.Y. Yes! Centers for Youth Development. She served and learned from urban & immigrant churches in Los Angeles for 15 years, eventually becoming the Director of Ministry Partner Relations. In that capacity, she coordinated volunteers and trainings for the LA area S.A.Y. Yes! Centers, and served as youth development staff in South LA at Prosperity Missionary Baptist/Koinonia Church. Later she directed the JAC ministry (Justice, Advocacy & Compassion) at New Song, Los Angeles Church. After marrying Robert, they performed a “ministry merger”, connecting activist students, urban ministry, and a passion to live transformational Christ-centered lives. They live in the LA area with their two young children. Juan Martínez currently serves as special assistant to the provost as well as professor of Hispanic studies and pastoral leadership. Since coming to Fuller in 2001, Martínez has served as vice president for diversity and international ministries, vice provost, associate provost for diversity and international programs, and director of the Center for the Study of Hispanic Church and Community. Among other topics, his research focuses on the history of Latino Protestantism, Latino Protestant identity, ministry in Latino Protestant churches, Latino and Latin American Anabaptists, and transnational mission among US Latinos. Michael has led and equipped others in urban transformation for more than 30 years through the creation of community and church-based programs. His work is focused on community transformation, youth leadership development, public health, intercultural outreach, and multiethnic ministry. Michael serves as Community Transformation Specialist for Compassion Creates Change, Inc., and served as the Director of Tools for Transformation for World Vision U.S. programs. He has nearly 20 years of experience in urban pastoral leadership and has taught at Fuller Theological Seminary, Claremont School of Theology and is currently Director of the M.A. in Transformational Urban Leadership program at Azusa Pacific University. Most recently he was appointed to the Los Angeles Mayor’s Interfaith Working Group (dealing with jobs, homelessness and immigration). Mata holds degrees in biblical literature, religion, and urban planning. Vanessa Carter focuses on social-movement building, regional equity, and immigrant integration. She has co-authored several journal articles, reports, and a book chapter with USC’s PERE/CSII staff and affiliated faculty, including: “An Agenda for Equity: A Framework for Building a Just Transportation System in Los Angeles County” (with Manuel Pastor and Madeline Wander), and “What’s at Stake for the State: Undocumented Californians, Immigration Reform, and Our Future Together” (with Manuel Pastor, Enrico Marcelli, and Jared Sanchez). She holds an MA in Urban Planning (UCLA) and has worked at USC’s PERE/CSII since 2008. Vanessa is a co-founding member of Jesus for Revolutionaries church, a student at Fuller Theological Seminary, a member of Evangelicals for Justice, and most recently a tutor at Fountain of Life's Family Center. She collaborates with faith-rooted community organizing groups LA Voice/PICO and CLUE-Los Angeles. She led the Justice, Advocacy, and Compassion team at Newsong Los Angeles, served on the board of Progressive Christians Uniting, participated as a member of Sojourner's Creation Care Working Group, and served as a member of the Executive Board of InterVarsity Bruin Christian Fellowship at UCLA. Nancy Wang Yuen, Ph.D., is a sociologist, documentary producer and pop culture geek. She is the author of Reel Inequality: Hollywood Actors and Racism (2016), the first book to examine the barriers actors of color face in Hollywood and how they creatively challenge stereotypes. She also pioneered the first study of Asian Americans and Pacific Islanders on television and the 10-year followup study, TOKENS ON THE SMALL SCREEN: Asian Americans and Pacific Islanders on Prime Time and Streaming Television. Nancy is an expert scholar and speaker on race and media, appearing on BBC World TV, NPR, Los Angeles Times, and Washington Post. She is a regular contributor to Self.com and the Huffington Post. She is an Associate Professor and the Chair of the Sociology Department at Biola University. Spencer Yuen is a software engineering professional specializing in search engines and big data. He has previously built high-volume search infrastructures containing records in the hundreds of millions at Mylife.com. He is passionate about social justice and lives in southern California with his young children. He holds a M.S. in Computer Science from University of California, Los Angeles. Brad Christerson is Professor of Sociology at Biola University. His teaching and research interests are in the areas of religion, racial inequality, globalization, and economic justice. He is the co-author of The Rise of Network Christianity (2017), Growing Up in America: The Power of Race in the Lives of Teens (2010) and Against All Odds: The Struggle for Racial Integration in Religious Organizations (2005). He loves the beach, the mountains, living in the LA area, hanging out with his wife Carin and two daughters Carley (19) and Danae (16) and most of all, pursuing Jesus and the community of justice and shalom that He invites us to live in. Terri is co-president of Cities Together (along with Dr. Mary Glenn), a faith based non-profit organization committed to theory-driven and practically rooted training, facilitation and coaching that undergirds leaders with the tools, resources and support needed to lead in their neighborhoods and communities. Through her ministry, Terri coaches, leads strategic planning, facilitates spiritual formation, trains in asset based community development and builds capacity for leaders and their organizations. In addition to her role as a gifted coach, she provides facilitation in Participatory Strategic Planning and Results Based Management. Terri has worked in the community for three decades, most recently as the Co-Director of City Net, an organization focused on collaborative leadership in Southern California cities. She is certified as a coach by the Christian Coach Institute and certified as a trainer in Group Facilitation Methods with the Institute of Cultural Affairs. Terri also serves as a senior leader, coach and board member with Communities First Association. Glen is missions and training pastor at Vineyard of Harvest Church in Walnut, CA. For 23 years he was a church planter, led relief and development organizations, and was an academic missionary in various countries in the Middle East. He has also taught Old Testament courses at Fuller Theological Seminary. He currently gives leadership at VOH to outreaches in a number of Middle Eastern and Asian countries. He is involved in giving leadership at VOH to refugee resettlement and support for undocumented immigrants in SoCal. Glen is also an adjunct professor of Old Testament and Hebrew at Talbot School of Theology and Vineyard Institute. He is currently writing a graduate level text on the story-line of the Bible provisionally entitled Powers of the Age to Come: A Biblical Theology of the Kingdom of God. Glen received his PhD in Old Testament studies from the University of Gloucestershire. He and his family make their home in East Los Angeles, CA. Vanessa Martinez is passionate about community and Kingdom transformation through justice issues, particularly as it relates to immigrant rights and economic justice. Vanessa began her spiritual journey and advocacy training in 2008 through the Hunger Justice Leaders program through the faith-based organization Bread for the World in Washington D.C. as part of her youth group’s involvement; where she advocated for foreign and domestic aid for the most vulnerable. Vanessa continued her faith bridge building and advocacy work as a church community organizer through faith-rooted advocacy - an organizing model shaped and guided by faith traditions that enables people of faith to contribute the unique gifts and resources to the broader movement for justice in the community. 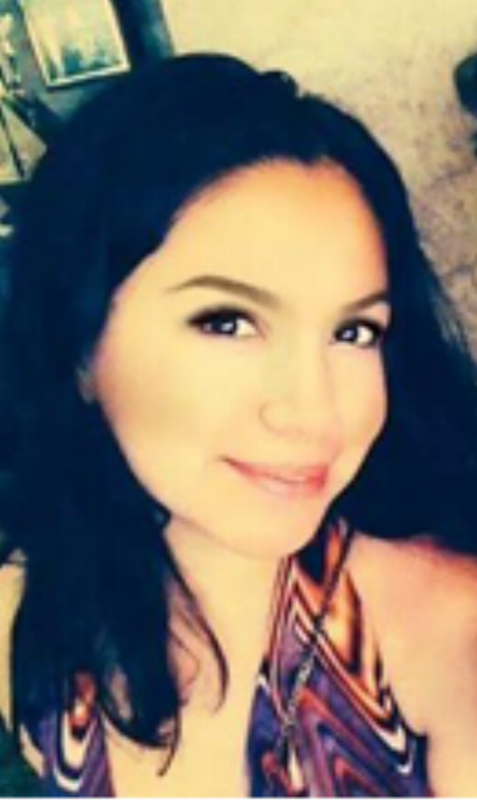 Currently, Vanessa has been serving as a board member for Templo Calvario Community Development Corporation in Orange County, California since 2010. Vanessa was born in Ensenada, Mexico and has lived in Orange County, California since the age of 12. Jean Carlos Arce completed a bachelor in finance at the University of Puerto Rico and is completing a Master of Divinity with emphases in Urban Studies and Christian Ethics at Fuller Theological Seminary. JC has been a bank executive, pastor, and church planter; today he serves a youth leader at Iglesia del Pacto in Eagle Rock. On his free time you can find him speaking about social justice and advocating for immigrants. Currently, He lives in Pasadena with his wife, Yaditza, and two sons, Enrique and Lucas. Since his own migration to the United States in ‘94, Jaime Lázaro has followed Christ by defending the rights of undocumented immigrants. Jaime spent nearly a decade as the director and editor of Periódico El Inter, a local newspaper supporting Latino/a immigrant communities living in Los Angeles area. He has organized numerous Christian events in which denominations have come together as one to better voice the needs and concerns of undocumented immigrants. In part, these efforts also lead to the co-founding of La Red de Pastores y Líderes in 2006, a network of pastors and leaders from various denominations that currently includes over 1200 churches in the LA area. During the seven years he lived in Colorado, Jaime’s involvement with the Latino/a immigrant community in Colorado Springs focused on the daily struggles and barriers of being undocumented. Furthermore, he sought to mobilize his (Mennonite) denomination to support these efforts and additionally served as a mentor to the leader of Casa de Paz. Casa de Paz is located across the street from the detention center in Aurora, Colorado. Since his recent move back to Los Angeles, California, Jaime has continued his involvement with La Red, organizing workshops for churches and supporting immigrant families. He is also organizing the Primer Festival Musical por el Immigrante (the First Music Festival for the Immigrant). This event and accompanying song-writing challenge is intended to inspire musicians within Christian communities to create music that engages the immigrant narrative (the hopes, struggles, fears, and dreams) through a biblical lens and in doing so, further raises awareness through these songs.